Over the past months, karres+brands completed the first phase of the spatial vision for the reinforcement of the Hollandse IJssel dike (Project KIJK). In the 2011 national dike review, a large part of the Hollandse IJssel dike proved to be below par. This means that if no action is taken, the dike can start to shift towards the polder. 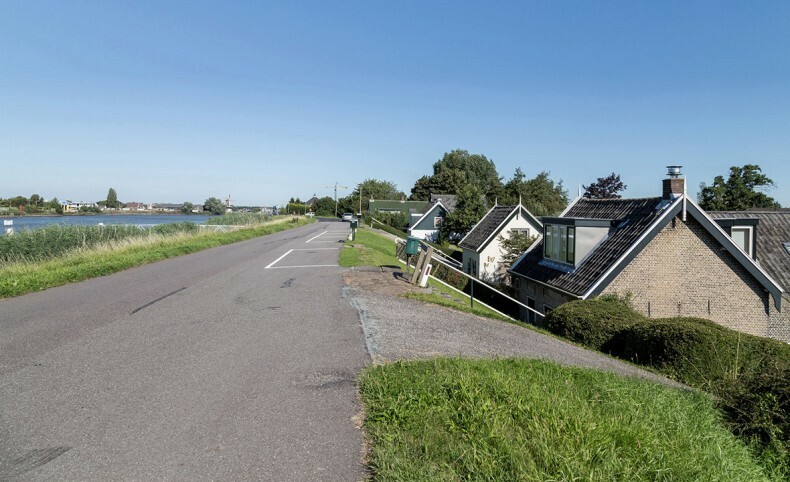 Together with the waterboard and a consortium of engineering firms, karres+brands designs the reinforcement of a 10km stretch of dike between the villages of Gouderak, Ouderkerk aan den IJssel and Krimpen aan den IJssel in order to reduce the chances of flooding to a minimum and to keep the 200.000 people living and working behind the dike safe now and in the future. The process of making the spatial vision is divided over three phases, of which the first phase is now completed. In this phase, karres+brands has made the vision for the Hollandse IJssel dike in collaboration with the people who live and work in the surrounding area. 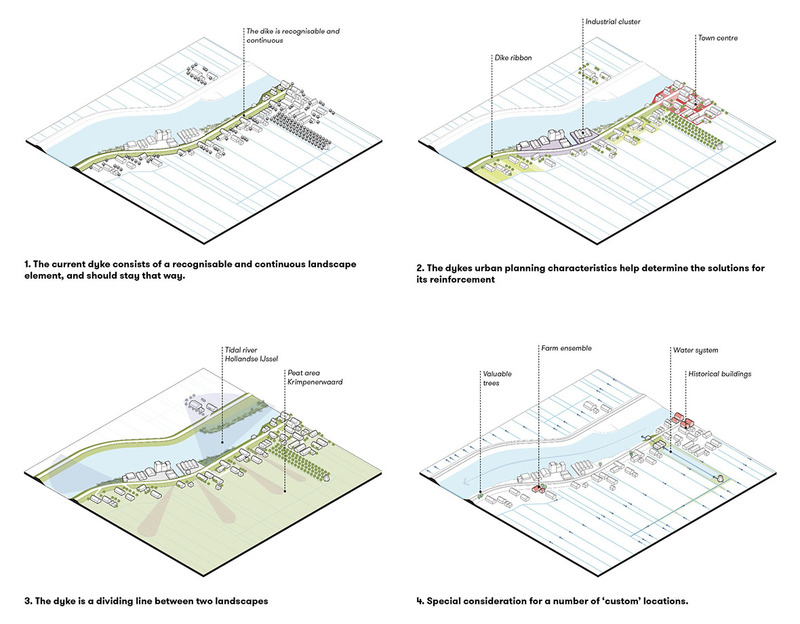 An extensive process with many people involved with the dike, led to the definition of the spatial characteristics and challenges. These characteristics are the most important elements of the dike that together make up its unique character and formed the starting point for the spatial vision. 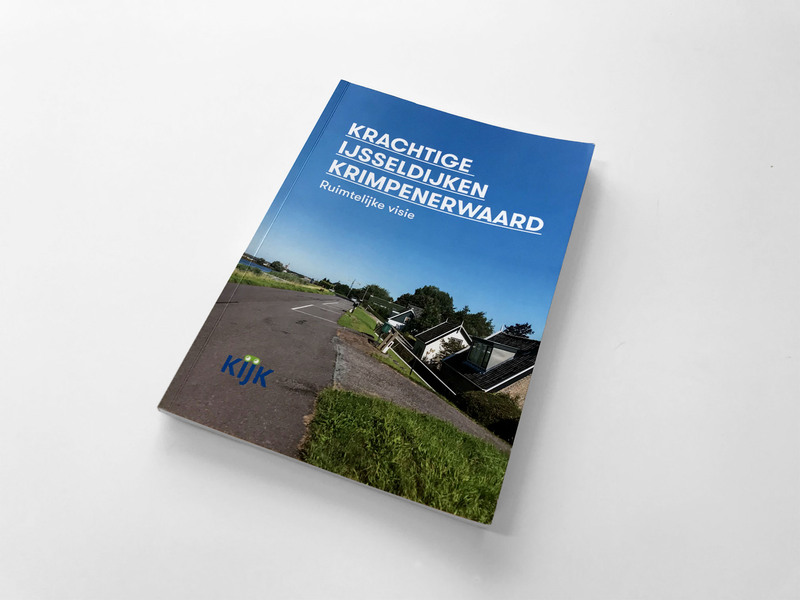 The spatial vision is summarized in a book that defines the spatial guidelines for the dike reinforcement. karres+brands, together with the waterboard and external engineers, are currently continuing the process based on this guidelines of the vision. Together they will explore and choose the best way of designing the dike reinforcement. This preferred option will finally be detailed into a widely agreed upon spatial design, fitting with the surrounding landscape. A look through the KIJK spatial vision from karres+brands on Vimeo.